Do you like looking at pictures of airplanes? Of course you do. 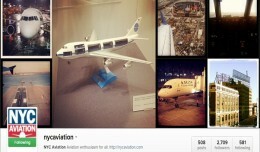 So take a look at these great aviation Instagrammers. We promise that you wont be disappointed! Two Presidential Sea Knight helicopters just buzzed Manhattan and Brooklyn Bridges. #SuperMoon peeking through my window.